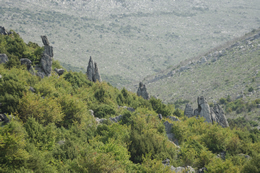 The Association is a non-governmental, non-profit, non political, non religious specialized in the field of studies , scientific publications and recognition of nature, environmental protection Albanian mountain, the mountain climbing, the climbing, the rocky climbing , to skiing, mountain bike, sports in mountain streams, and develops its activities in accordance with Albanian legislation and the provisions of the Statute. Aims of the Association are defined in principle. Depending on the specific development team leader of the Association shall determine the objectives, roads and concrete tools. Objectives in principle determined by actual needs and perspective of development, cited in paragraph for justification of the Association. Their accomplishment in the context of the activity of the Association shall be made depending on the situations and human and material resources to be available. 1. 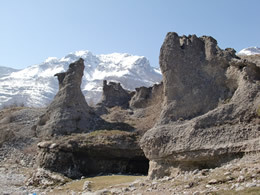 Development of mountaineering and mountain tours in the mountains of Albania. 2. 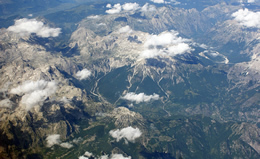 Spread and expansion of knowledge on the high mountains of Albania. 3. Preserving the beauty and environmental world mountain descent. 5. Supporting institutions and other organizations in the field above. Aims of the Association are defined in principle. Depending on the specific development team leader of the Association shall determine the objectives, roads and concrete tools. Objectives in principle determined by actual needs and perspective of development, cited in paragraph for justification of the Association. Their accomplishment in the context of the activity of the Association shall be made depending on the situations and human and material resources to be available. In this sense one of the objectives of the work of the Association is just evaluation and exploration of these resources. Association won a legal personality by the decision of the Tirana District Court no. 525 Date 04.02.2003.